There is an expression in traditional media that says, 50% of your money for an ad goes to waste, but you don’t know which 50%. If you own a small business or work in marketing, reducing the waste and inefficiency in your traditional media ads and improving your return is critical to marketing success. Print ads are expensive and even more so if the ad is not producing results, which many are not. I define results as leads, phone calls, sales, sign-ups etc. Google Adwords can quickly improve the success of your traditional media ads by allowing you to effectively test different variations of your ads. So pull up your chair a little more closely and let’s talk about how you can make your traditional media ads more effective with Adwords. For this post I’m assuming you have a basic understanding of Google Adwords. Google Adwords has a nifty feature that allows you to split test ads. Because you are able to evenly split test your ads in an ad group you can test variations on headlines, offers, and price points before you publish your print ad. You need of course to have enough data to statistically conclude a winner, but there are online tools that make it easy to determine statistical significance without having to crack open a college stats book. Once such source is here. What parts of a traditional media ad can be improved? Headlines: the headline is of course one of the most important elements of an ad. Google’s textual search-based ads are probably too short to test headlines since you only have 25 characters for the headline, but certainly you can create image ads and run them on Google’s Display Network, which will give you more room write and test headlines. Calls to action: you always need to tell people what action you want them to take, but what is more effective: Call now, Call today, Make your appointment etc.? Offers: Do people respond better to an actual dollar amount or discount? For example, $30 off, or a percentage discount like 50% off? Or would an offer of “Free widgets” work even better? Price points: is it better to offer your bare bones intro offer, or try a higher price point with more features and benefits? in one case I tested, we increased the price and added more benefits to the offer and the click-through-rate dropped by 50%! Of course all our print ads included the lower price point. 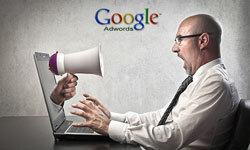 What are the benefits of using Google Adwords to improve your ads? Quick feedback from qualified customers: It works because you get almost instant unbiased statistically valid feedback from pre-qualified customers searching for your products and services in Google. What better way to improve an ad by showing it to potential customers and see what version performs better? 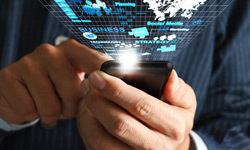 Cost: you only need to run ads long enough to collect enough data to tell you what direction to go so the cost for a small business might be in the $100 range, of course it will depend on what your cost per click is and how many clicks/impressions you need before you can conclude a statistical winner. But the cost of this test is a fraction of what a traditional media ad costs, and considering it will improve response rates and grow sales it’s well worth it. Better response rates, better sales: Because you now know what offers work better, what price points work better, you can be sure you will get a better response rate in your traditional media ads. Where do I turn on this feature in Adwords?To turn on this feature in Adwords choose the campaign you’re interested in and click on the “Settings” tab. Once on the Settings tab scroll down to “Advanced Settings” and then “Ad delivery: Ad rotation, frequency capping” section, click “edit” and choose “Rotate evenly.” Once enough clicks have accrued you can determine which ad was more successful and had a higher click-through-rate (CTR) and thus better response. Once you have the feature turned on at the campaign level you can create 2 different ads in an ad group varying one element of your ad and run both ads against each other. 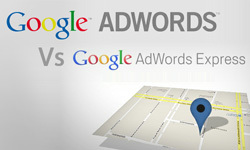 For the most part there are very few limitations in using Adwords to improve your traditional ads. The one caveat, however, pertains mostly to the headline. People that are searching in Google that use keywords to search are pre-qualified leads and have a good sense of what they are looking for. People that see traditional media ads in magazines or postcards, for example, are not pre-qualified leads, and herein lies the difference. Headlines for traditional media ads need to stand out and break through the clutter, whereas search-based ads need to be focused and targeted to the product or service and the person’s query. As an example, if I were selling massage therapy services and using direct mail postcards I might write my headline like, “Got stress or tension?” Who doesn’t have stress or tension? This type of headline breaks through the clutter and forces the reader to answer it. With search-based ads in Google people would be typing into Google, “massage therapy services” or “I need a massage therapist”, so your headline needs to align with that search and a traditional media headline would not work well. Imagine typing in Google, “Massage therapists near me” and you see a headline like, “How to relieve stress and tension”…it’s not going to work as well as one that says, “Massage therapy near you”. In conclusion, traditional media ads are expensive, often costing thousands of dollars targeting people that may or may not be searching for your product or service. Google Adwords can be used to effectively hone your ads effectiveness by testing some of the most critical elements in an ad. I have run some very inexpensive tests in Google, sometimes spending less than a $100, and the results drove ad copy for traditional media buys that were in the thousands of dollars and the improvement in results showed. New to Adwords? Need help testing or setting up campaigns? For more information contact me. About the author: Toby Danylchuk is a principal at 39 Celsius, a bilingual online marketing agency based in San Diego. He has many years of experience in implementing and integrating successful traditional media and online marketing campaigns. It’s also important to note that for reporting purposes, when you make changes to ads on some of these platforms, even it its minor – the ad may get treated like a whole new ad with no history. Really great article! I have heard that Adwords could held you with the SEO but I had no idea apparently! I will definitely try these tips when it’s time to set up a new site! Really useful!